Laminex have experienced changes in focus and investment to drive more efficient customer contact. From firstly looking at cost-efficiency, to embedding a customer centric function to going live with a new digital platform, customers can experience speedy, efficient service without losing that personal, conversational touch from agents. 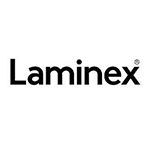 Laminex has worked on developing a new ecommerce platform and website to deliver an omnichannel approach in the future, with webchat functions and proactive service delivery. Check out the incredible speaker line-up to see who will be joining Adrian.